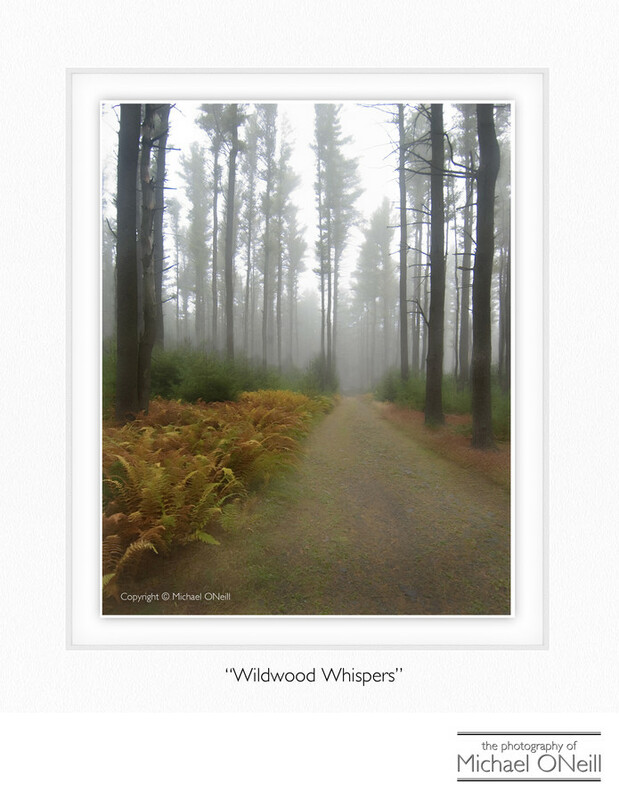 "Wildwood Whispers" was created during one of many motorcycle road trips I’ve taken in the Pocono Mountains of Pennsylvania. I’ve traveled somewhere around a quarter million miles by motorcycle in my lifetime but only in the last few years have I carried a camera with me. That’s so wrong...I know. But when I was engaged in photographing up to 100 wedding assignments a year I didn’t want anything to do with a camera when I was vacationing (and decompressing) on the road. Thank God that has all changed now, and these days I never leave home without a camera. This picture was taken on a cool, crisp autumn morning. I had just spent the night with good friends at their new home in the Poconos and left early in the morning for my next destination. As I rode up route 390 out of the Stroudsburg, PA area I came across Promised Land State Park in Greentown. This hiking access road in to the park looked so peaceful with the fog rising as the cool morning air washed over the warmer ground. This image is available as one of my fine art photography editions either directly from me or through a number of the galleries that represent me.